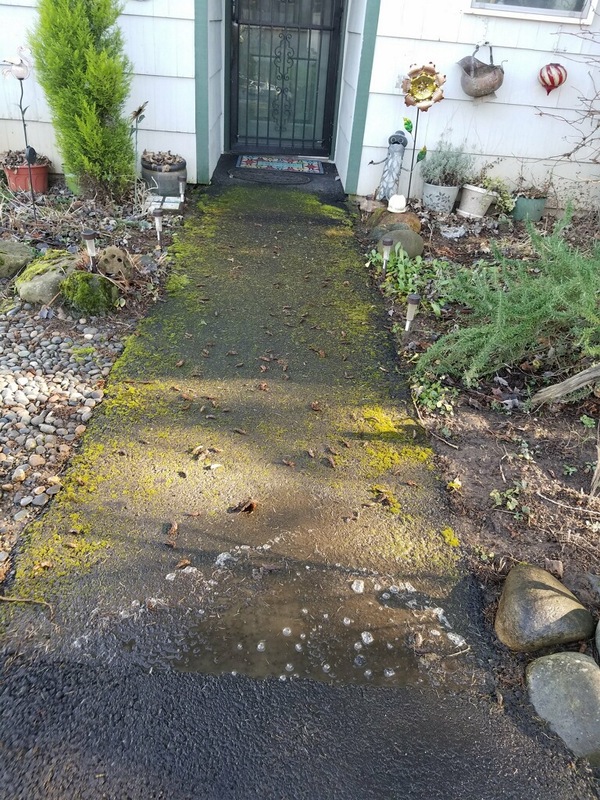 Quam’s Carpet Cleaning pressure washing services will get the exterior of your home looking great again after a season of rain, wind, snow and ice. Using state of the art equipment, Quam’s Carpet Cleaning uses less water, is more efficient, and will got the job done quickly and safely. 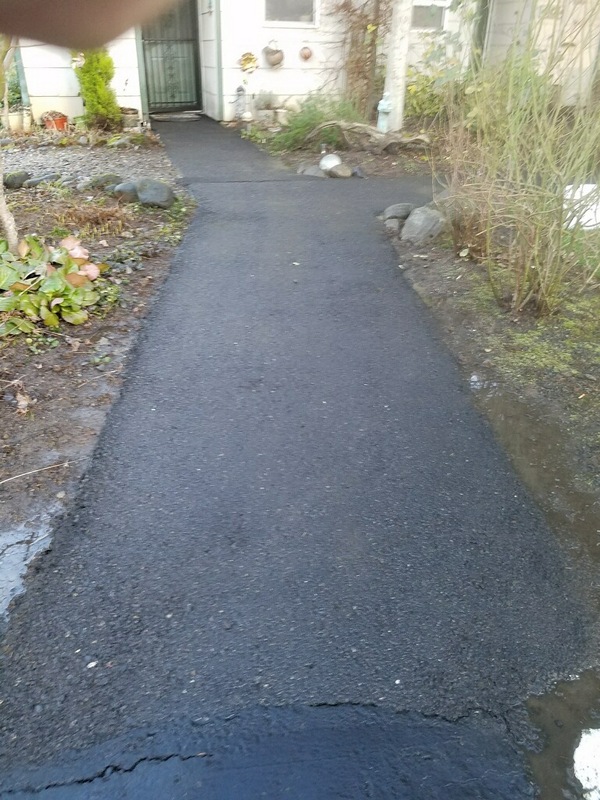 This also eliminates standing water after the job is done, and we always clean up after every project. For flat terrain, our surface cleaner eliminates streaks that other pressure washers leave behind or need two or three passes to clean. Using two wands that spin under the surface cleaner deck, Quam’s Carpet Cleaning uses half the time to finish the job, using less water and leaving your driveways and sidewalks looking brand new. Pressure washing not only improves the curb appeal of your home, but can also prevent accidents. When moss is allowed to grow and expand, it can cover large areas. When it gets wet, it can become a slipping hazard. Need Our Pressure Washing Service? Quam’s Carpet Cleaning uses an industrial wand for elevated surfaces, such as siding, outside of gutters and fences. When extended, we can clean two story homes safely without the need for constant trips up and down ladders. 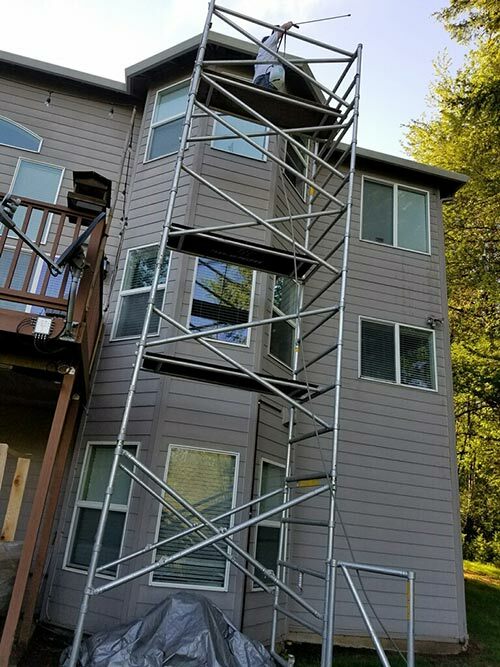 Using secure scaffolding, we will also pressure wash homes and buildings up to three stories high. We also take care to protect the windows of your home to make sure they aren’t damaged during the pressure washing process. Pressure washing also helps extend the life of patios and decks made from all kinds of material, including wood, Trex and concrete. Moss, algae and other plants can wreak havoc on a wood deck. With scheduled cleaning, your patio or deck will look great for years to come. If the exterior of your home is looking drab and worn down, call Quam’s Carpet Cleaning to schedule a free estimate today.